Italy is possibly the world’s most beautiful country. Brimming with verdant hills, vibrant flowers and charming architecture, there’s yet another outstanding feature that makes this nation one of the world’s most visited: beautiful Italian islands. Imagine waking up slowly, enjoying a leisurely breakfast, spending your day at the seaside soaking up the sun, dining for hours on end, with course after delicious course, taking an after-dinner stroll with the cool sea breeze in your hair, and topping off your night with a tasty gelato. This is island life. It may seem these destinations are set in some tropical locale, but they’re nearer than you think – they’re just insanely beautiful Italian islands you need to visit in your lifetime. Salina reached international fame when it was featured in the film Il Postino (The Postman), and it’s easily one of the most beautiful islands off the coast of Sicily. 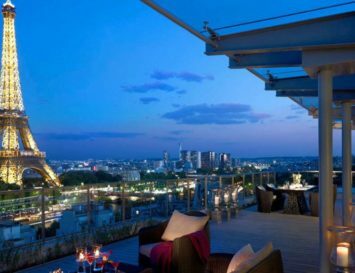 There are plenty of lovely restaurants, hotels and boutiques here for entertainment, and you’ll encounter a general atmosphere of sophistication mixed with simplicity. 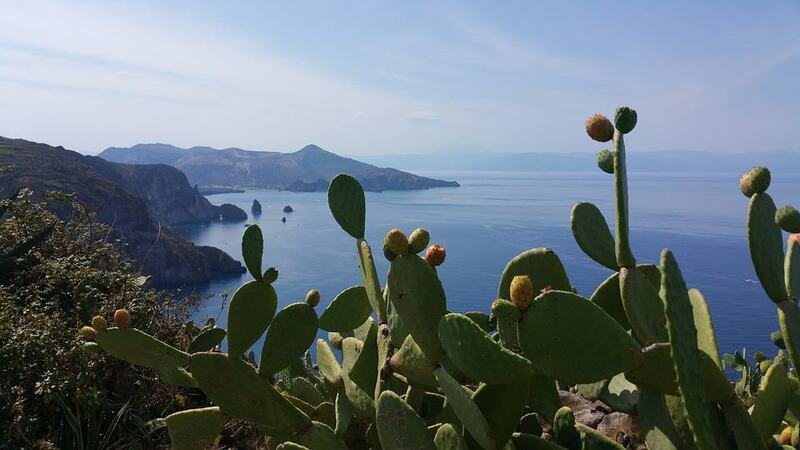 Beautiful scenery, sumptuous seafood and smells from the sea will delight the senses, and always brooding on the horizon, you’ll find another Sicilian isle inviting you – or daring you – to explore it: Vulcano. Salina has two ports, Santa Marina and Rinella, served by ferries and hydrofoils from Naples, Palermo, Reggio Calabria, Messina and Milazzo. If this is your type of vacation spot, there are many luxury villas in Sicily that are available to rent even for short periods of time. This is especially great for groups or just for having a true Italian experience. 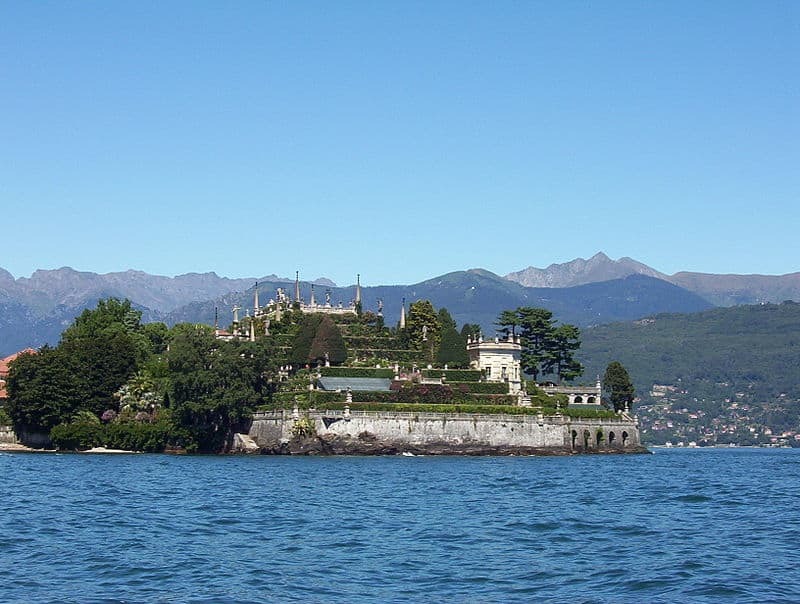 This island, located in the Italian Lake Maggiore, really lives up to its name! 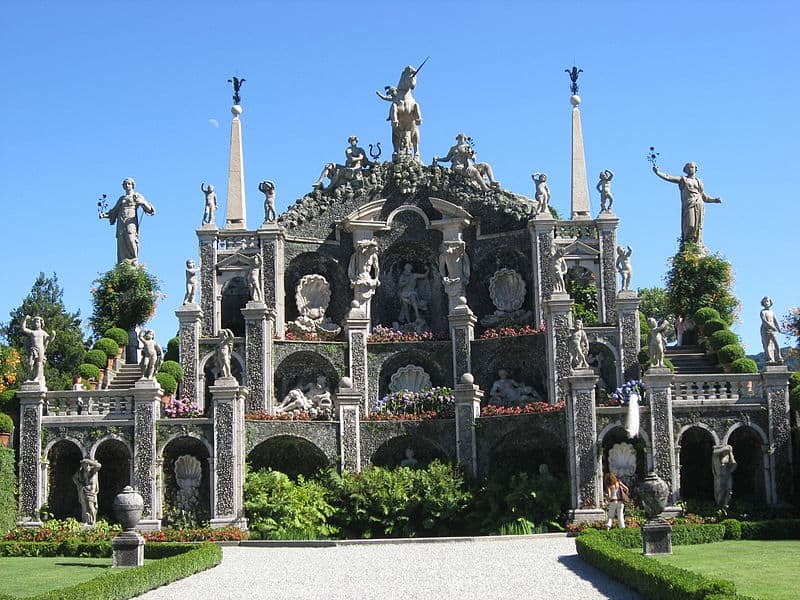 Thanks to Carlo III of the influential House of Borromeo, this flowery island boasts some grand architecture, such as a wonderful palazzo and stunning 400 year old gardens crafted by Angelo Crivelli. 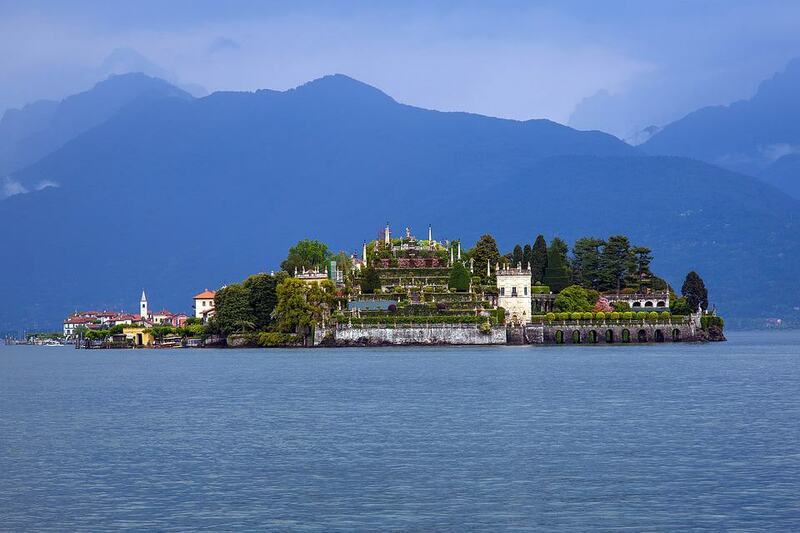 The best way to arrive here is by train from Milan to Stresa, where a ferry will carry you to the island in a mere ten minutes. 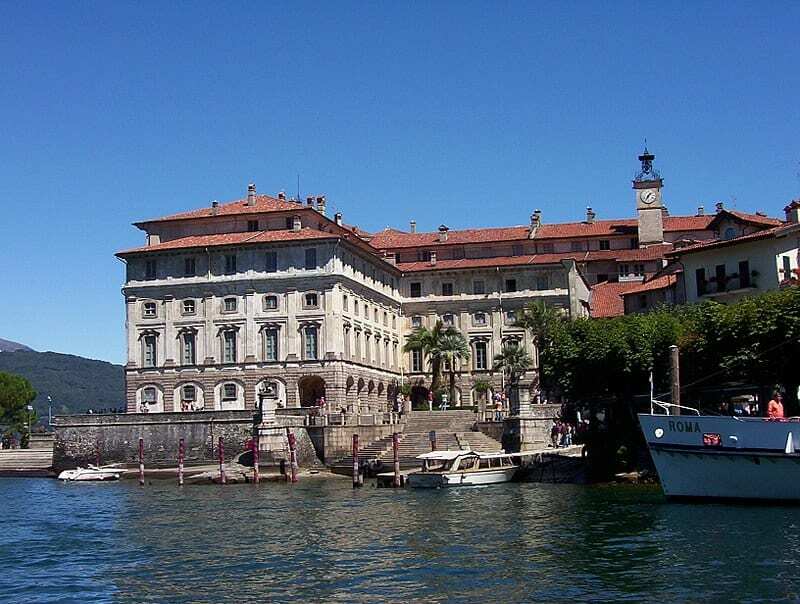 There are a few restaurants offering Northern Italian cuisine here, such as the outstanding Ristorante Elvezia, which features a terrace with beautiful views over the lake. 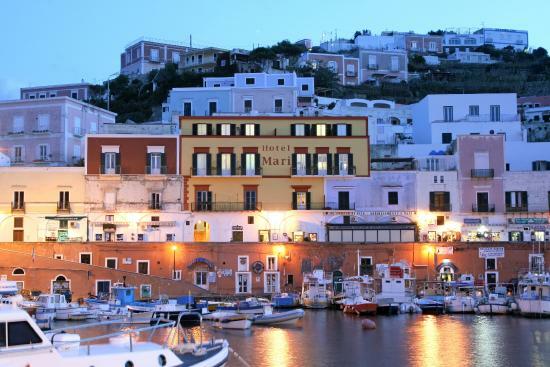 The island of Ponza, also called ‘the island of love’, is a popular holiday destination for Romans, full of nightlife and plenty of beaches, caves and inlets to hop around. Ponza feels like a secret. 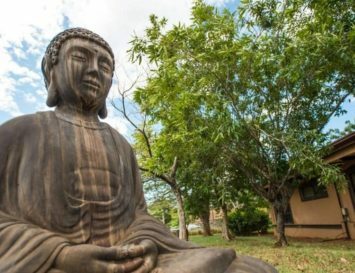 The island’s charm lies in its timelessness and simplicity, attracting a fashion crowd and celebrities such as Rihanna, Mariah Carey, Beyoncé and Jay Z. There is little shopping, except for a few stores selling Panama hats and swimsuits, and you hear few languages spoken besides Italian. 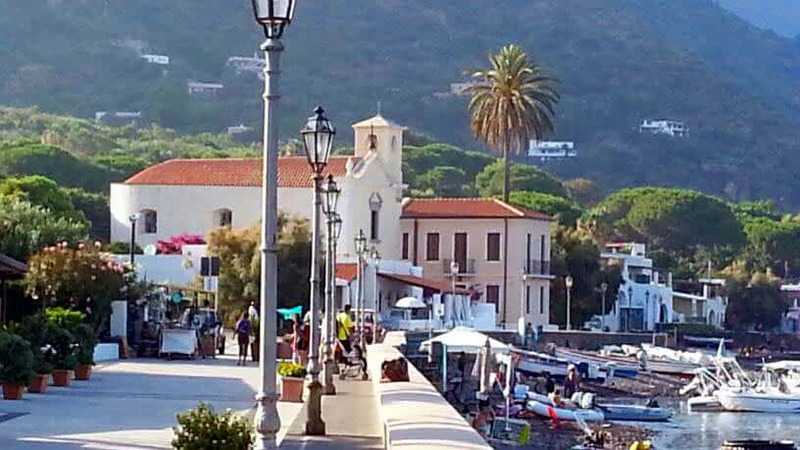 People spend their days renting motor boats from the port, dropping their anchors in one of the windless alcoves that surround the island, and spending the day diving off the boat, only to reboard to regain some energy from eating fresh mozzarella, tomatoes and focaccia. Night life is equally simple; a sunset aperitif followed by a dinner that goes until the last man standing. 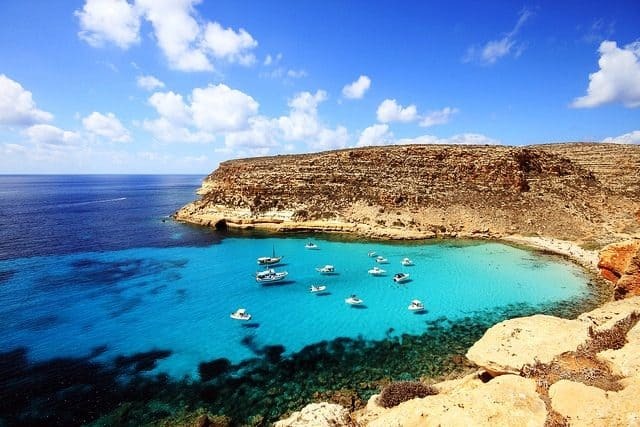 For serious sunbathers and landlubbers, the Chiaia di Luna Beach is the spot to go to, and the caves of Ponzio Pilato are fascinating to explore. Unlike its more touristy and crowded neighbour, Capri, Ponza is relatively unknown to foreigners, making the island a truly off-the-beaten track destination, where you can enjoy sipping espresso, swimming, sunbathing and mingling with true Romans. This is a protected island that Italy gets to call one of its own, although it is actually closer to Tunisia. Located off the coast of Sicily, it’s arguably most famous for Rabbit Beach, a heart-shaped cove located on the southern coast. The crystal-clear shallow waters here attract snorkelers, sunbathers and swimmers, who must wade through the shallows to reach the sandy beach. 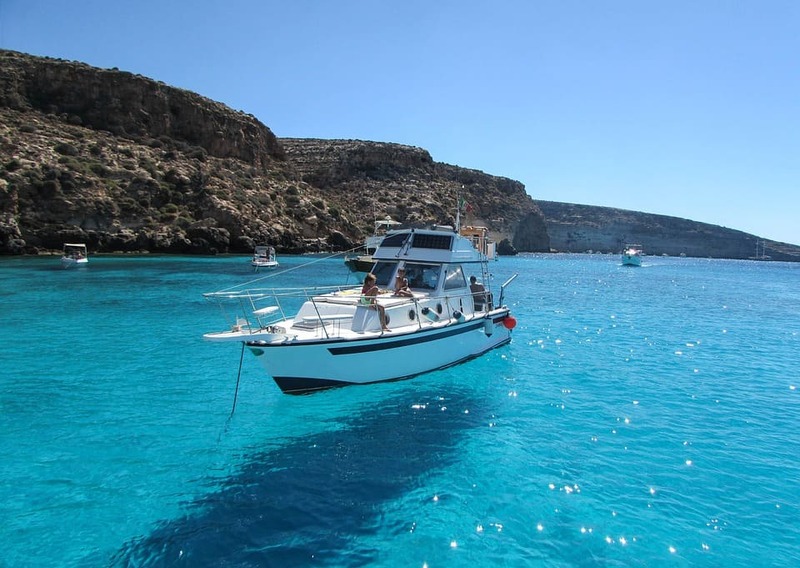 Lampedusa is also a sought-after destination for divers, who often venture out by the submerged statue of Madonna del Mare. Dolphin-watching at dawn or sunset is a common activity on this idyllic isle, and animal-lovers will be also happy to know that turtles are able to safely lay their eggs without bother here, as the island is a protected reserve. This is the main island of an archipelago found off the northeastern tip of Sardinia, reachable via boat or ferries that depart from Sardinia. 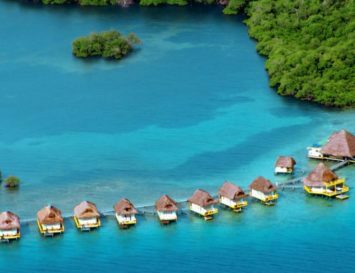 The archipelago was once ranked as strategic naval and military bases, but its convenient location and crystal blue water draws more tourism these days. 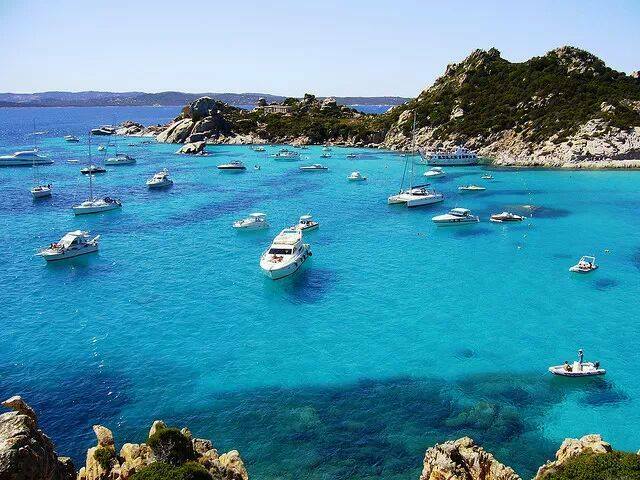 The archipelago is well-known to the Costa Smeralda yacht set, who sail out to the heavenly turquoise lagoons like the Porto della Madonna and the islands’ deserted beaches only accessible by boat, occasionally stopping for lunch at one of the islands’ waterside trattorias. 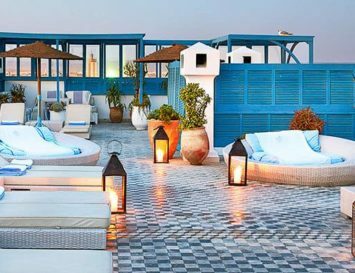 In terms of accommodation, there are a few small hotels, pensionis and modest resorts catering to a mainly Italian clientele, so tourists will find a certain friendliness and eagerness to please among restaurateurs, shop owners and hoteliers. 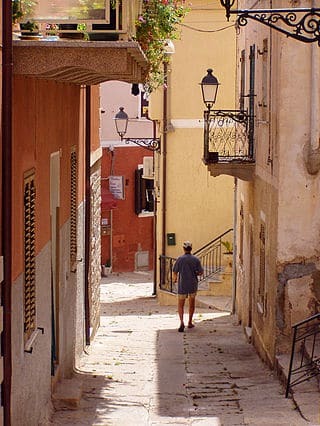 The Maddalena islands are only 20 minutes by ferry from the port of Palau, but the maddalenini have always seen themselves as a race apart from Sardinian ‘mainlanders,’ just as the latter feel culturally distinct from the rest of Italy.